Dayan Elimelech Vanzetta learnt at leading Yeshivot in Israel, where he studied a number of different areas of Halachah, and was ordained by the Supreme Rabbinical Court of Israel as well as important contemporary Halachic Authorities, with whom he enjoys a particularly close relationship. Dayan Vanzetta enjoys a very close relationship with the Orthodox Jewish Community of Chile where he has worked with Chief Rabbi HaGaon Rav Yitzchak Shaked, Shlit”a, a disciple of the famous Ponevezher Rosh HaYeshivah HaRav Elozar Shach zt”l, for a decade. 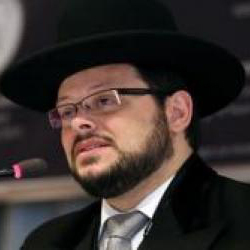 In addition to his rabbinical studies, Dayan Vanzetta studied Economics, Politics and International Relations at the LSE, Law at the University of Milan (Italy), and is fluent in a number of different languages. Dayan Vanzetta is also a member of the Chartered Institute of Arbitrators. Dayan Vanzetta lives in Edgware with his wife Rebbetzen Rochel and, B”H, their growing young family.